When Lak­isha Tanna’s infant grand­son was trans­ferred to Lurie Children’s Hos­pi­tal in Chica­go, Illi­nois, she thought that he was in the best place he could be to receive the care that he need­ed for his med­ical con­di­tion. She nev­er dreamed that this choice would even­tu­al­ly result in her adorable grand­child being what she terms “med­ical­ly kid­napped” more than a year lat­er. On March 12, the fam­i­ly faces a hear­ing to deter­mine whether Malik, now 2 1/2, will be able to return home to his grand­par­ents who love him, or for­ev­er become a ward of the state of Illi­nois. 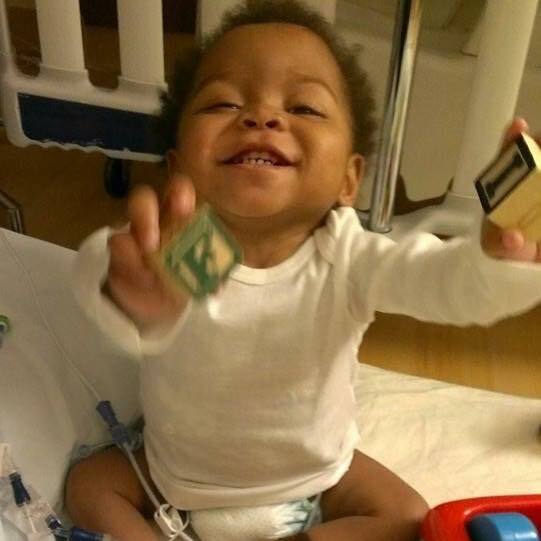 Malik Mitchel was born on July 5, 2012, with a med­ical con­di­tion that result­ed in his small intes­tine being sur­gi­cal­ly removed, known as short gut syn­drome. At 6 days of age, his fam­i­ly trans­ferred him to Lurie, where he would spend the next 8 months. Because of fac­tors relat­ed to his seri­ous med­ical needs, the fam­i­ly made the deci­sion to trans­fer guardian­ship to his grand­par­ents. Short­ly after this trans­fer, a social work­er from Lurie approached Lak­isha with a pro­pos­al to make Malik a ward of the state, “putting infer­ences on the ben­e­fits of a finan­cial gain” for his grand­moth­er, a pro­pos­al which she prompt­ly declined. Accord­ing to fed­er­al guide­lines, chil­dren who are wards of the state may be enrolled in med­ical research stud­ies with­out their fam­i­lies’ knowl­edge or con­sent. This dis­turb­ing fact came into the light dur­ing the Justi­na Pel­leti­er case, where Boston Children’s Hos­pi­tal and Con­necti­cut CPS seized the teenag­er over a dis­agree­ment about a diag­no­sis. At the time, Lak­isha was unaware of the ram­i­fi­ca­tions of his becom­ing a ward of the state; she and her hus­band sim­ply want­ed to be there for her grand­son, and pro­vide him with the love and care that fam­i­ly can pro­vide bet­ter than any stranger or insti­tu­tion. That is what fam­i­lies are for and have been since the begin­ning of human his­to­ry. Malik is very loved by his fam­i­ly. Source: For the love of Malik Face­book page. Malik was dis­charged from Lurie on March 18, 2013, and was sent home with an in-home nurse. Anoth­er nurse came by week­ly to draw labs. Dur­ing this time, Lak­isha switched pedi­a­tri­cians to one who was clos­er to her home. He was receiv­ing all of his nutri­tion via IV (TPN). He bat­tled bouts of diar­rhea, and his weight fre­quent­ly fluc­tu­at­ed. In July, Lak­isha missed a sched­uled appoint­ment with a GI doc­tor she says because her car broke down. A social work­er from the hos­pi­tal, Joanne Sin­gle­ton, phoned DCFS (child pro­tec­tive ser­vices), report­ing her to the abuse and neglect hot­line. Appar­ent­ly there were some abnor­mal lab results that they had planned to address dur­ing the appoint­ment. Malik was lat­er admit­ted to the hos­pi­tal, where he was tak­en off the TPN due to increased risks with long-term use. A G-tube feed­ing tube was insert­ed. Lat­er, Lak­isha learned that the alleged abnor­mal labs were unfound­ed. Despite the change in his feed­ing plan, he still suf­fered from diar­rhea off and on. Lak­isha reports that the for­mu­la they place him on was dif­fi­cult for him to tol­er­ate. How­ev­er, when she tried to make sug­ges­tions about his nutri­tion­al issues and care, it seemed to her that the staff took offense rather than try­ing to work with them. Lak­isha reports that a DCFS inves­ti­ga­tor told her at this time “to be care­ful,” because “they receive a lot of calls from Ann & Robert H. Lurie Children’s Hos­pi­tal on minor­i­ty fam­i­lies.” Lak­isha holds a Master’s degree in social work, and is a hos­pi­tal social work­er her­self, but she had no idea what she was about to face in her bat­tle to pro­vide the best pos­si­ble care for her lit­tle boy. After the last hos­pi­tal dis­charge the num­ber of in-home nurs­ing hours were reduced from 98 hours per week to 56, and a dif­fer­ent agency pro­vid­ed the ser­vices. On Octo­ber 24, 2013, Lak­isha received a call to bring Malik in to Lurie Hos­pi­tal imme­di­ate­ly, due to weight loss report­ed by the nurs­ing agency. Though it was late in the day, she took him in. He was weighed and labs were drawn. He had a weight loss of almost a pound and a half. How­ev­er, this was a far cry from the report which prompt­ed the urgent call. The coor­di­na­tor at the in-home nurs­ing agency had alleged­ly report­ed a weight loss of 6 to 7 pounds! Despite the obvi­ous mis­take, they insist­ed on admit­ting Malik to the hos­pi­tal. Lak­isha reports that this was quite con­fus­ing to her. She asked for an admit­ting diag­no­sis, but no one could ever tell her why he was being admit­ted. The next day, fur­ther tests were ordered “which didn’t make any sense,” but she agreed to them. Every­thing came back with­in nor­mal lim­its. Still, Malik remained hos­pi­tal­ized. By this point in Malik’s short life, he had already been sub­ject­ed to 4 surg­eries, but he still had repeat­ed issues with his weight fluc­tu­at­ing. Lak­isha expressed her con­cerns about the care he was receiv­ing and asked to get a sec­ond opin­ion. She began talk­ing about trans­fer­ring his care to anoth­er hos­pi­tal. The right to seek a sec­ond opin­ion and bet­ter treat­ment options are con­cepts which have long been assumed by the Amer­i­can pub­lic to be both the right and the respon­si­bil­i­ty of par­ents. How­ev­er, much like Michelle Rid­er and the Pel­letiers, Lak­isha learned that some hos­pi­tals do not see it the same way. When Lak­isha got to the hos­pi­tal to vis­it her grand­son on Decem­ber 5, she was shocked to find that Lurie had restrict­ed her from vis­i­ta­tion. She says that a social work­er walked her to Malik’s room to kiss him good-bye, but she was not per­mit­ted to stay to vis­it. 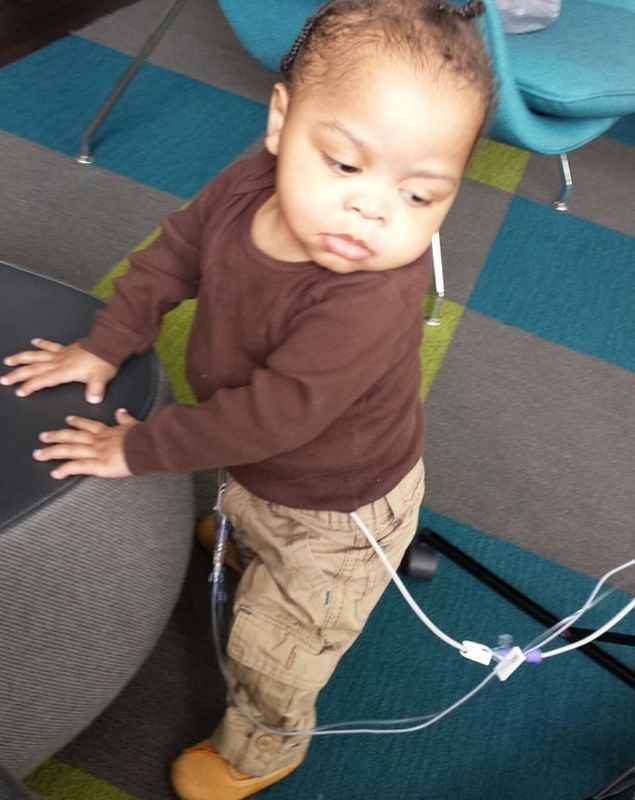 The next day, DCFS seized cus­tody of Malik, cit­ing med­ical neglect. It was not until Christ­mas Eve that she was final­ly able to vis­it him again, under super­vi­sion. On Decem­ber 26, Lak­isha received a voice­mail that DCFS had made the deci­sion to “indi­cate” her, mean­ing that they would put her on an abuse and neglect reg­istry. She reports that she was not able to make any kind of defense or par­tic­i­pate in the tele­phone con­fer­ence call where the deci­sion was made. Though a DCFS work­er alleged­ly stat­ed to the court on Decem­ber 6 that Malik was med­ical­ly ready for dis­charge from the hos­pi­tal, Lurie sched­uled him for surgery on Jan­u­ary 15, 2014. Lak­isha was not told why he need­ed the surgery, nor did she give her con­sent. She was not even per­mit­ted to be present for her grandson’s surgery. It was only lat­er that Lak­isha learned that the pro­ce­dure was for a bow­el block­age. Even so, Malik con­tin­ued to expe­ri­ence prob­lems with weight fluc­tu­a­tions after going into state cus­tody. Lat­er, the judge in the case alleged­ly asked why the surgery was done, but the GAL (Guardian ad Litem) was unable to explain it. Lak­isha reports that she tes­ti­fied that she had learned that it was for a bow­el block­age. He alleged­ly said that it sound­ed like it had a bio­log­i­cal cause, unre­lat­ed to any­thing that the grand­moth­er had done. Because Malik is a child with seri­ous med­ical needs, the Tan­nas sus­pect that some of the “unin­formed exper­i­men­ta­tion pro­ce­dures” that Malik has been sub­ject­ed to are part of the rea­son that he was tak­en from them in the first place. A num­ber of activists study­ing the prob­lem of med­ical kid­nap­ping have repeat­ed­ly assert­ed that chil­dren like Malik, with med­ical­ly com­plex issues, are cash cows to the sys­tem and to the hos­pi­tals involved. Malik’s time is alter­nat­ed between Lurie Children’s Hos­pi­tal, Almost Home Kids – a tran­si­tion­al facil­i­ty owned by Lurie, and a fos­ter home with strangers. At one point Malik’s Guardian ad Litem filed a motion which would have iso­lat­ed the baby from any con­tact with any fam­i­ly mem­bers or friends besides his grand­par­ents, but the request was denied. How­ev­er, Lak­isha has been pro­hib­it­ed from attend­ing Malik’s doc­tors appoint­ments, despite a court order to the con­trary. Joanne Sin­gle­ton, a Lurie social work­er has alleged­ly placed a restric­tion for­bid­ding Malik’s grand­moth­er to come to Lurie or Almost Home Kids unless she is accom­pa­nied by a DCFS social work­er. The restric­tion remains even though a copy of the court order has been pro­vid­ed to both facil­i­ties. Even though Lak­isha has lim­it­ed vis­i­ta­tion rights to see her baby, even those vis­its have been spo­radic, some­times can­celled due to lack of a work­er to super­vise, sick­ness of the work­er, sick­ness of the baby, or unavail­abil­i­ty of the fos­ter fam­i­ly. This is very dif­fi­cult emo­tion­al­ly for the fam­i­ly. Lurie has alleged­ly not been hap­py with the fos­ter par­ents either. When the fos­ter moth­er ques­tioned the for­mu­la that Lurie had pre­scribed, she took Malik to a GI spe­cial­ist at anoth­er hos­pi­tal for a sec­ond opin­ion. She actu­al­ly did what Lak­isha has mere­ly talked about doing. Some­one at Lurie alleged­ly became very angry and called the child abuse hot­line on the fos­ter moth­er. She is now alleged­ly under inves­ti­ga­tion. The adju­di­ca­tion hear­ings have end­ed and the judge ruled against Lak­isha on Octo­ber 15, 2014, alleged­ly stat­ing that he would have to go with the opin­ion of the expert wit­ness. There was no evi­dence of abuse pre­sent­ed. Accord­ing to Lak­isha, this expert wit­ness was a Child Abuse Spe­cial­ist from Lurie, Dr. Norell Rosa­do – a doc­tor that she had nev­er even seen. He alleged­ly stat­ed that Malik wasn’t behav­ing like a nor­mal child; how­ev­er, the tim­ing that he saw Malik was when he was very sick with diar­rhea. The judge alleged­ly cit­ed neglect because Lak­isha failed to take Malik for a fol­low-up vis­it with the pedi­a­tri­cian. She states that she was not per­mit­ted to give her sim­ple expla­na­tion in court: that Malik had been read­mit­ted to Lurie for a 3 week hos­pi­tal stay at the time the fol­low-up was sup­posed to occur. There is one final chance for Lak­isha to get her grand­son back, or lose him for­ev­er. A dis­po­si­tion­al hear­ing is sched­uled for Thurs­day, March 12, at 1:30 pm at the Juve­nile Deten­tion Cen­ter, 1100 S. Hamil­ton, Chica­go. Sup­port­ers are invit­ed to come and show sup­port for the fam­i­ly. A pre­vi­ous dis­po­si­tion­al hear­ing was con­tin­ued because no plan for going for­ward could be agreed upon. Malik’s Guardian ad Litem and the State Attor­ney are “fight­ing to make Malik a Ward of the State of Illi­nois,” while Lakisha’s attor­ney and DCFS sup­port Malik being returned to his home with his grand­par­ents. Lak­isha was recent­ly a guest on “The Cap­tain,” a blogtalk radio show. Her heart­break­ing sto­ry may be heard here. Bruce Rauner is the Gov­er­nor of the State of Illi­nois, and may be reached at 217–782-0244 or 312–814-2121, and con­tact­ed here. The Tan­nas State Rep­re­sen­ta­tive is Mar­cus C. Evans, Jr. He may be reached at 217–782-8272 , and con­tact­ed here. Donne E. Trot­ter is their Sen­a­tor, and he may be reached at 217–782-3201, and con­tact­ed here.